Main focus of November 2017 Information Worker update for SharePoint 2013 and 2016 was user experience improvements both during installation and directly working with the product. We have received a lot of customer feedback about installation process and product configuration was not very intuitive. Fully reworked setup and configuration wizard offer significantly improved experience. Added additional validation and warning in situations when user closes document with unsaved changes. Fully reworked installation and configuration wizards in SharePoint Central Administration. Added intro video when user opens Dashboard for the first time. Added basic signature certificate which can be used after trial period expiration. Fully reworked user interface in Dashboard. Many design elements were taken from PDF Share Forms Cloud product. Since both products are basically twin brothers it only makes sense to have a consistent streamlined design between both products. What is also new is that that users get to see a quick product introduction video when they open Dashboard for the first time. It provides basic information need to create your first form in PDF Share Forms Information Worker. Each tab in Settings now has more description text and links to knowledge base and support. Automatic form field data extraction and synchronization with SharePoint document library columns. Use SharePoint lists or external databases as data source for cascading dropdowns, filter data in real time. Web-based PDF viewer that allows working with SharePoint forms in any browser and on any device. Web-based PDF form editor – you can create a form from scratch or import existing document. A true cross-platform solution! No limits to the forms you can create. Get all the benefits of PDF forms – fixed layout, easy to print, perfect document type for long term archival. 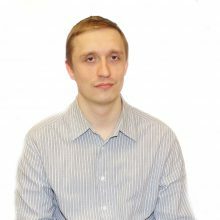 Pavel has joined PDF Share Forms in 2015 as accounts manager for EMEA region. His passion for delivering excellent customer service and deep understanding of document management processes in SharePoint helped to solidify PDF Share Forms position in the EMEA market. Feel free to reach out to me if you have any questions about PDF forms and SharePoint integration.